1Co 11:28-30 Let a person examine himself, then, and so eat of the bread and drink of the cup. (29) For anyone who eats and drinks without discerning the body eats and drinks judgment on himself. (30) That is why many of you are weak and ill, and some have died. Heb 12:28-29 Therefore let us be grateful for receiving a kingdom that cannot be shaken, and thus let us offer to God acceptable worship, with reverence and awe, (29) for our God is a consuming fire. The church that I have been the pastor of for the last 25 years used to be what appeared on the outside as “a happy place.” A happening music program, pretty full sanctuary, committees, “testimony time,” and so on. The people bragged on it. In reality however, as was soon apparent, what looked so “happy” on the outside was full of corruption on the inside. Sin. Lots of it. These “happy Christians” hated one another, sought personal fame in their “ministries,” had the freedom to be as foul-mouthed in their weekly lives as they wanted, and on and on it went. “Happy” churches are the friend of evil. 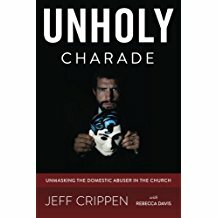 “Happy” churches are the abuser’s ally. The main thing is that the main thing always remain the main thing. And what is the main thing? That everyone is happy, happy, happy. Don’t go talking about evil – nope. And don’t preach on the searing holiness of God – uhuh. That ruins the happy. I like to call our church the happy church. And we celebrate happy hour every Sunday morning. Yep. You can’t make this stuff up. She will be seen as a threat to happy time. Admitting to the presence of evil in the pews is an unpleasant business. Facing up to the fact that the head deacon has duped everyone and is an emissary of the devil is just, well, grievous. It takes smiles off faces. Therefore, happiness must be maintained. The victim must be silenced. Her story is to be disregarded, and if she cannot jump back onto the happy wagon, she is going to have to take her story about evil and hit the road. The Christian is a joyous person. Joy is a fruit of the Spirit. But joy is vastly different from the “happy” that this pastor is talking about. Joy rejoices and one of the things it rejoices over is justice. Christ’s people hunger and thirst for righteousness. They grieve over evil and the Spirit within them yearns to expose it and deal with it as God does. Real joy is not in conflict with the confession that our God is to be approached with reverence and awe, because He is a consuming fire. Some of the Corinthians thought they could party on and turn the Lord’s table into happy hour. They thought wrongly. The Lord struck them. He struck some of them dead. How happy, happy, happy do you think the church was then? About as happy as when Ananias and Sapphira were struck down for lying to the Holy Spirit. Act 5:11 And great fear came upon the whole church and upon all who heard of these things. The happy church is no friend of Christ. It is no friend of the oppressed. It IS a friend of the wicked. Have no part in it. It is not the body of Christ.